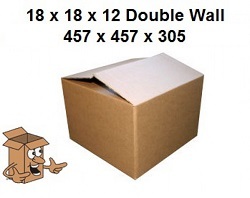 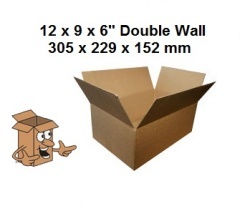 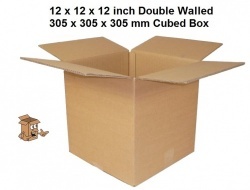 We stock a range of strong double wall boxes, two corrugated walled cardboard boxes. 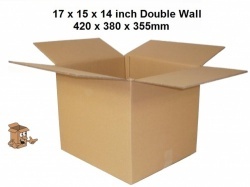 Our double wall boxes range from small double wall postal boxes, to medium sized removal boxes and storage boxes to larger boxes for moving the lighter bulkier items. 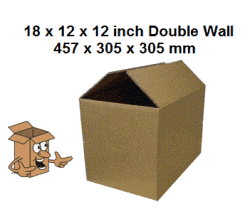 We also stock and sell larger double wall boxes for industrial and commercial storage and transportation of goods. 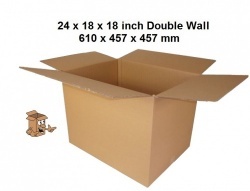 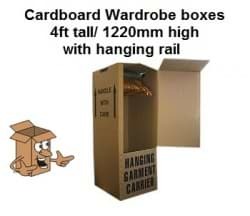 If you need strong double wall boxes, please call today for more information or place your order online to get delivery the next working day by overnight national courier or even order your cardboard boxes from us today and we can offer our local same day delivery service of boxes to your warehouse or office. 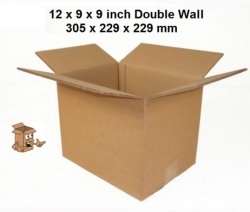 Double wall is the double corrugation separated by a layer of paper, the second wall gives much stronger and more rigid cardboard box, less likely to buckle or crush when stacked. 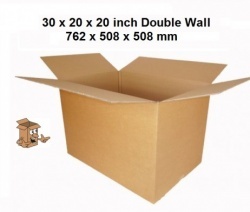 We would always recommend using the stronger double walled boxes for strength, but also durability, as these boxes can be used again, gift them forward to friends that are moving or keep the boxes after you have moved, for future use. 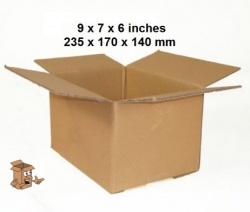 The type of paper used in manufacturing these boxes and the size and style of the corrugation will add to the strength of the box and the cost. 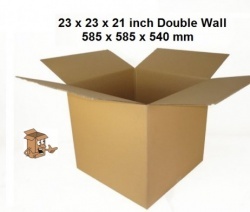 The lighter weight boxes are cheaper to post and far cheaper to manufacture, which is why we invite our customers to visit our showroom and see the difference in quality to that of ebay sellers and other online cheap removal box suppliers.